‘Tis the season to be excited. Whether you’re bustling around, preparing for house guests, rushing out for some last-minute shopping, or bundling everyone into the car to visit with friends and family, things are likely to be a bit hectic. And your dog is likely to be a bit stressed. In today’s interview with Lisa Spector, a Juilliard-trained pianist and the co-creator of the Through A Dog’s Ear CD series, we discuss the help that’s at hand for all the holiday situations you and your dog are likely to encounter. I’ve known about the Through A Dog’s Ear Music to Calm Your Canine Companion CDs — now available in 3 volumes — since about 2008 and got to know Lisa herself a couple of years ago but I never learned how she came to create her soothing dog music. So I asked her during this interview. I’m not going to give away the answer except to say that it has to do with a 2003 fund raiser for Guide Dogs for the Blind, Lisa’s piano students, and the science of psycho-acoustics. And that it took almost two years to figure out which music, played at what tempo, worked best with dogs. I also wanted to know about a later addition to the group: the Driving Edition CD. The principle is the same, calming dogs who are stressed, in this case by being in an automobile. But here Lisa was faced with the problem of making sure that the driver was not so relaxed as to fall asleep along with the dog. The solution to the dilemma lies partly in the use of a training protocol, 20 minutes of music designed to be played before you get your dog into the car. The Driving Edition turned out to be hugely successful — even, to Lisa’s surprise, helping to eliminate anxiety-caused car sickness. Really, you’ll have to listen to the interview, which also talks about the exciting new collaboration between Lisa and Animal Planet trainer/star Victoria Stilwill. I’ll say only that classical conditioning is involved in both cases. And speaking of listening: Here are some great samples from all the different Through a Dog’s Ear series. One of the many ways this season is exciting: Discounts! 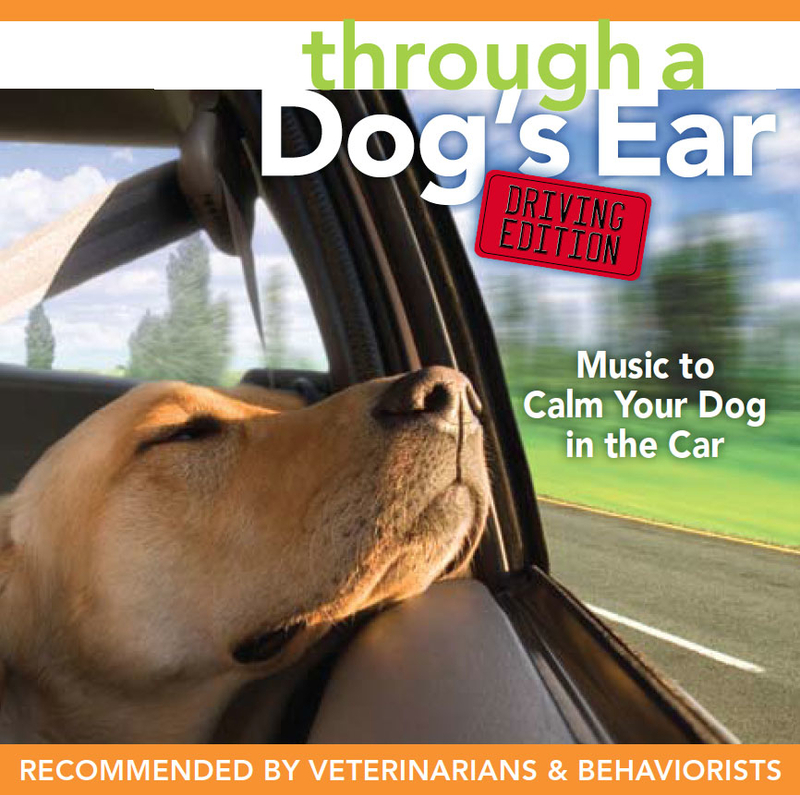 Get 25% off a combination of Driving Edition and Music to Calm your Canine Companion Vol. 3 until Dec 31, 2011 by using coupon code TravelWithCalmDog; the 25% will be deducted from your total at checkout. Note: This must be a combination of both exact CDs, and it’s good for product purchase only, not on downloads. One discounted purchase per customer. Okay, now here’s the interview. This entry was posted in Edie Jarolim, Pet Travel, Training and Behavior and tagged Lisa Spector, psychoacoustics as applied to dogs, Through a Dog's Ear on December 5, 2011 by Edie Jarolim.